Digital Remedy is an 18-year-old adtech and entertainment company—an extremely rare feat in an industry renowned for mergers, acquisitions, takeovers, and dissolutions. The fact that Digital Remedy has not only endured, but has continued to grow is both an impressive and a notable achievement. Today, the company offers state-of-the-art digital media solutions for advertisers, publishers, and influencers, allowing them to leverage cutting-edge technology, 24/7 managed services, and unique content creation and engagement strategies. With a commitment to a product roadmap and an understanding of a dynamic ecosystem, the company continues to evolve to meet the needs of their clients’ businesses. “There is no one-size-fits-all remedy in our industry. 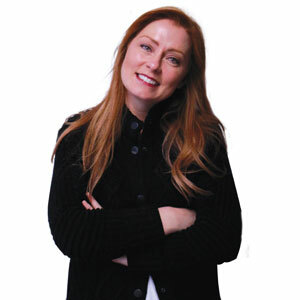 The reason we continue to be successful is that all of our solutions can be customized to the needs of the advertiser, publisher, or influencer,” says Tiffany Coletti Kaiser, Executive Vice President, Marketing and Client Services at Digital Remedy. Countering the siloed offerings specific to a singular pain point, Digital Remedy offers tailored solutions that address diverse challenges in this space. The company leverages the lessons learned from the evolution of adtech over the years and applies it while staying in line with the ever-changing behaviors of society. In essence, Digital Remedy offers two prominent strategic solution sets. The company’s Nibble solution curates unique content and engagement strategies, catering to the diverse business requirements of their clients. “Nibble truly represents the intersection of advertising and technology to engage users and grow audiences for the entertainment community,” Coletti Kaiser explains. The company’s AdReady solution is a combination of a proprietary platform and managed services. The platform component connects with multiple inventory sources and partners, to deliver best-in-class opportunities for advertisers and brands, while the managed services component facilitates the relationship required to meet the demands of the ecosystem. The cornerstone of the Digital Remedy strategy? The ability to adapt to change. According to Coletti Kaiser, “the company is driven by a simple yet effective philosophy—change is the only constant when it comes to staying relevant in the advertising and entertainment business.” Bearing a striking similarity to Darwin’s ‘survival of the fittest’ theory, unlike their competitors, Digital Remedy has been able to pivot with the market as changes have occurred. The company started with cost-per-action campaigns, but made a shift to cost per anything that a client would want to achieve online (cost per x) in the early 2000s. By 2012, having recognized “the Internet was not necessarily a place for published content as much as it was a place for entertainment,” Mike Seiman, CEO and Founder, steered the company to create content that allowed brands and publishers to connect to audiences. Eventually, while the purpose of the website started to change with the rise of Facebook and Napster, the company recognized web properties delivering entertainment was where the tide was shifting, and thus moved into the content space. Evidently, Seiman’s foresight and sharp acumen has led Digital Remedy to a place where it taps its diverse background and 18-year history. Digital Remedy currently operates seven offices across five countries and plans to continue expansion into the APAC markets, creating extensions of their services based on the best practices acquired from their experience in the U.S. These extensions will further allow advertisers and publishers to cost-effectively improve their reach, compared to the currently available siloed offerings.